In a nutshell, it’s the ultimate goal. 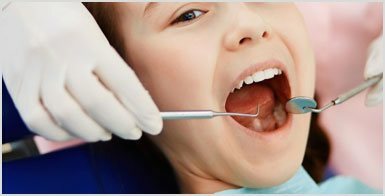 We offer the most advanced orthodontic treatment options, backed by computerized diagnostic imaging and measuring systems, to custom-design the best, results-oriented treatment plan that is unique to each patient – with no extractions. To get braces now or defer treatment until permanent teeth are in is the big question! iSmiles Orthodontics provides Complimentary Intervention Consultations for children as early as age 7. We highly recommend early intervention appointments every six months, so we can follow your childs development and deal with orthodontic problems that, if ignored, could lead to more radical or surgical treatment later on. No one likes surprises. Our Treatment Coordinators always look out for your best interests. Once you and your doctor decide on a treatment plan everything is spelled out on paper, and all of your questions are answered. 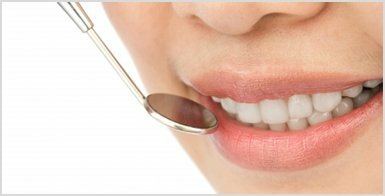 New technologies and treatment techniques, like our state-of-the-art bracket systems, greatly reduce the time it takes for office appointments. We take a team approach to ensure everything you need is handled efficiently, so you are in and out of the office in a timely fashion. We want to make your day with great service, a friendly, courteous staff, in an open concept office that also sports a comfortable waiting area, game room, balcony – even free Wi-Fi. We treat every patient like family and want you to feel at home throughout your treatment process. From 0% In-Office Financing (with no credit checks) to working with your Insurance Plans to Flexible Payment Schedules, you will find the right iSmiles payment option to fit your budget. While “creating beautiful smiles” is paramount in an orthodontic practice, iSmiles firmly believes a successful doctor/patient partnership must be based on trust, integrity and understanding. We want your experience to be 100% positive. 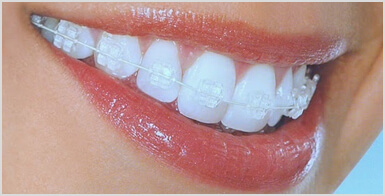 iSmiles Orthodontics service Irvine and Orange County residents in search of the perfect smile. Dr. O El-Hillal is the certified orthodontist that calls iSmiles home. Dr. O is an avid sports enthusiast who constantly challenges himself to reach the next level of perfection. Dr. O is passionate about orthodontics because creating beautiful smiles dramatically impacts his patients’ lives. The patients look better, feel better, have more confidence, and their teeth and mouths function better because each tooth is perfectly aligned. One visit to this progressive office and you’ll see why Dr. O has gained an internet following for his informative Friday Focus YouTube videos that cover the gamut in orthodontic services. iSmiles Orthodontics provides you facial driven treatment solutions, with accuracy and efficiency. . .and no extractions. Our treatment philosophy is “face-driven orthodontics”. We always start with a detailed assessment of the patient’s face and from that, we determine the most ideal 3-dimensional position of the teeth in order to enhance the facial esthetics of each patient. When executed correctly something magical happens. Every office visit is an incremental step that ensures your smile is progressing as planned. We get ideal function and maximize facial esthetics that last a lifetime. We are also firm believers in a “no extraction” approach to all iSmiles treatments, so our patients retain all of their permanent teeth while having the teeth straightened. This is especially important in pre-teens and teenagers where crowded conditions can be corrected to create sufficient space for straight teeth to grow. The smile is visibly enhanced as it becomes wider and more noticeable. In the end, your smile will become your best feature! When you schedule your Complimentary iSmiles Orthodontic Consultation (a $500 value), you are taking the first step to finding the best treatment that meets your needs, or the needs of your children, at a price you can afford. No referrals or commitments to start treatment are required. If you think “BRACES” and see images of heavy metal appliances that are uncomfortable and cosmetically challenging, you are definitely behind the times. Today’s braces have entered a new age! 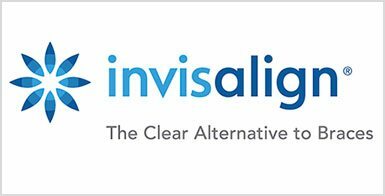 Both adults and teens who are intimidated by braces love this innovative system of clear plastic aligners to straighten their teeth, invisibly. No one knows you’re getting your teeth corrected unless you tell them. Nipping a potential orthodontic problem in the bud. When to start orthodontic treatment is just as important as the treatment, itself. To get braces now or defer treatment until your child’s permanent teeth are in – that is the big question. Now that the permanent teeth are in! 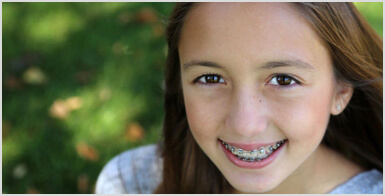 Age 12 to 15 is the most common time to start orthodontic treatment. Gaps, crowding, issues with bite and alignment are easy detected by this time. For that smile you always wanted. With 60 being the new 40, adults see orthodontics as a sound investment that pays big dividends. 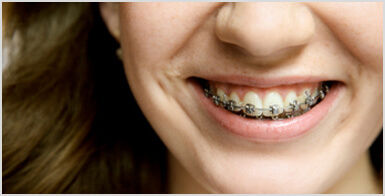 Surveys show nearly 25% of orthodontic patients are adults. Many are in their 50s, 60s and 70s. When you think about the most significant events in a person’s life – graduating high school, getting a drivers license, walking down the aisle, buying a first home – the last day of wearing braces ranks right up there. At iSmiles Orthodontics, all of our patients are photographed the day they start treatment and the day of the ‘big reveal’. When we share that special moment, comparing those before and after photos, everyone has such an amazing feeling of happiness and gratification. The commitment we make to giving our patients the best possible treatment experience is just as important as our patients’ commitment to wearing and maintaining their braces, day after day until the desired outcome is achieved. In the end, it is all about the smile. . .and the perfect bite! Discover the iSmiles Orthodontics Difference with a Complimentary Consultation Valued at $500.